Right now, I'm reading two nonfiction books. 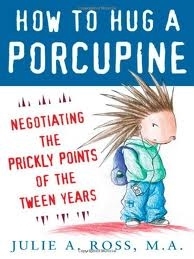 The first book, How to Hug a Porcupine: Negotiating the Prickly Points of the Tween Years, was a highly recommended parenting book and all I can honestly say about it is...Eh? -Which explains why I am simultaneously reading a second book. 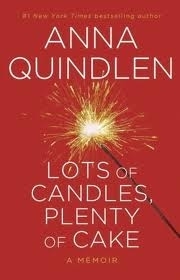 The second book, Lots of Candles, Plenty of Cake, by Anna Quindlen, got a lukewarm review in Newsday, but I'm actually enjoying it. Then again, I've really enjoyed Anna Quindlen's books ever since my friend, Denise, one of the most avid readers I know, turned me on to them. Yes, they are chick-lit, but definitely cerebral chick-lit, exploring relationships, feelings and ethical issues.